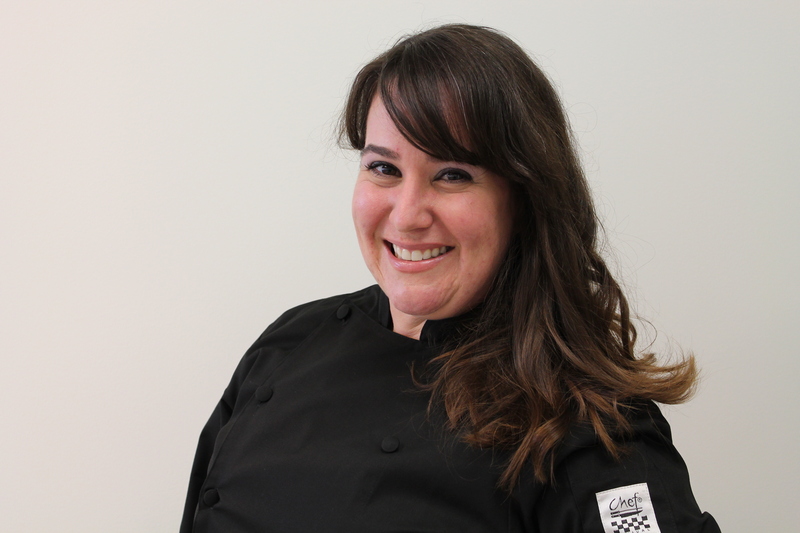 May 19, 2016 – Hello all, Chef Alyssa from the ALDI Test Kitchen here! 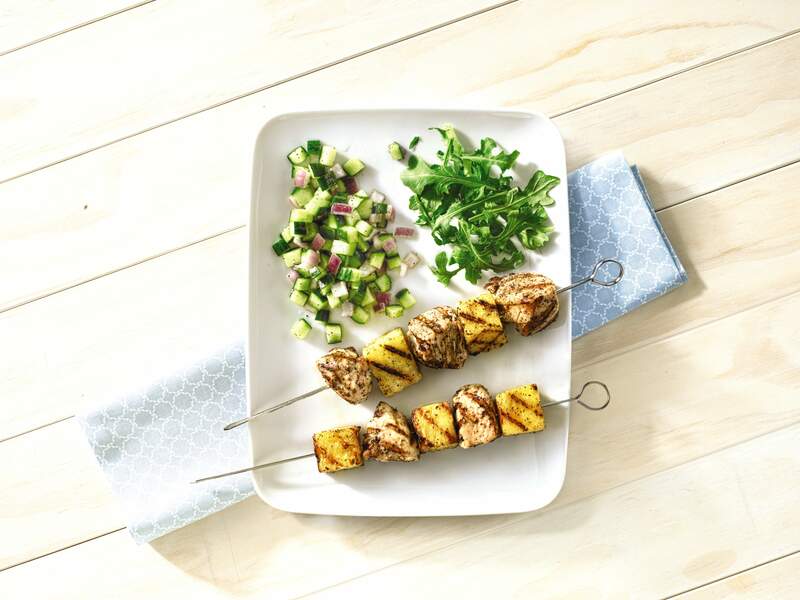 Summer reminds me of grilling and grilling reminds me of kabobs! 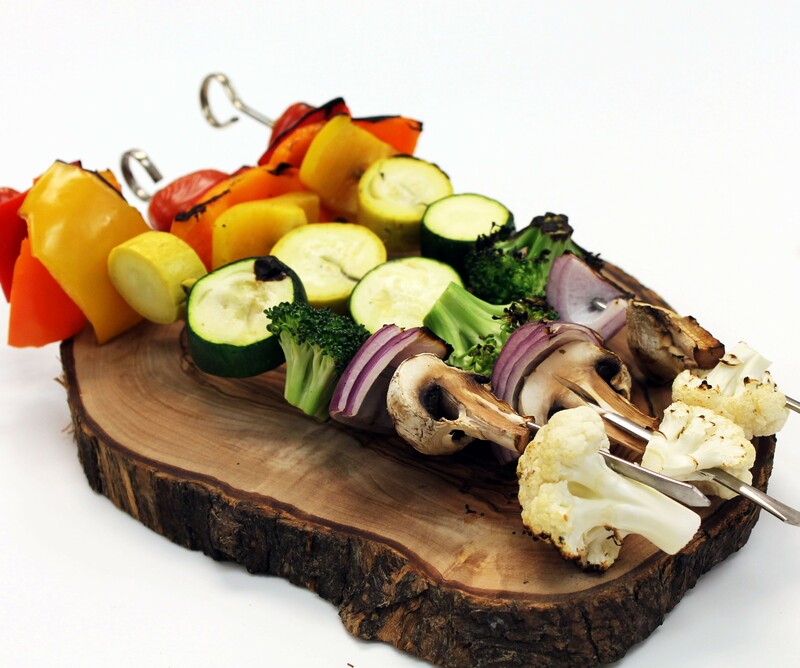 My mom would make kabobs and say, “Alyssa, let your imagination run wild, you can put anything on a stick.” And it is true…. Try skewering fresh sweet corn, sweet peppers, onions and mushrooms for a colorful side dish. Simply season with butter, salt and pepper to bring out the fresh flavor of the summer produce. Toss tomatoes, peppers, squash, broccoli, zucchini, cauliflower and onions in olive oil, salt, pepper and fresh herbs before piercing and placing on the grill. Assemble in an artistic way to celebrate the joy of summer. Brush a little oil on fresh berries, pineapple, watermelon, plums and peaches, for a refreshing grilled summer fruit kabob. Try a drizzle of honey or agave nectar for extra yum! 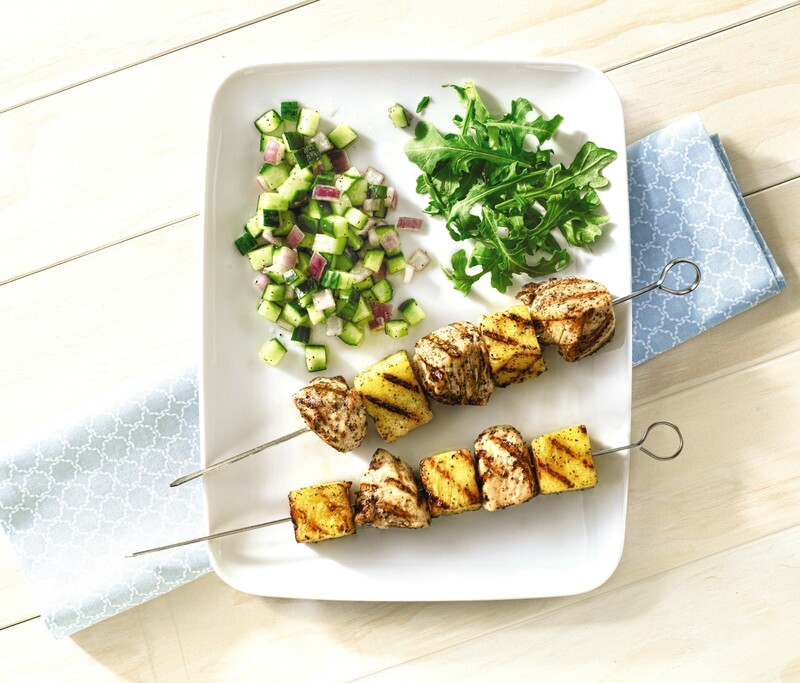 Check out my recipe for Grilled Chicken and Pineapple Skewers with Lemon Cucumber Salsa. I love using Kirkwoods Never Any! Chicken Breast Tenderloins. 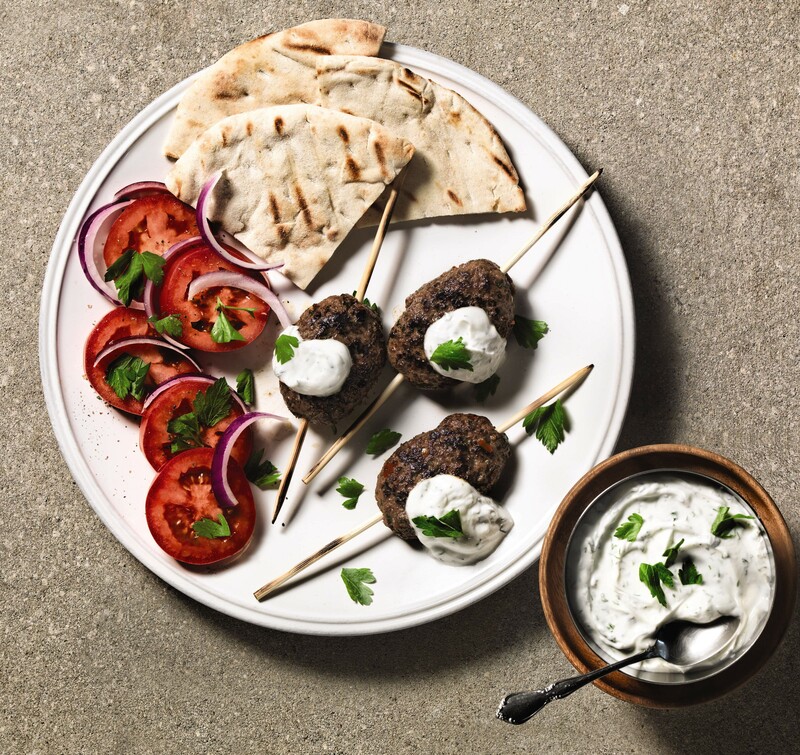 Adding a refreshing salsa can be a great compliment to your kabobs. ALDI offers an amazing fresh meat selection, grab that top sirloin or strip steak; cube it, skewer it. Our pork loins and chops are amazing options as well. Season them with a marinade or meat rub to add flavor. Go Italian! Use Italian sausage or transform Organic Ground Beef into meatballs by adding tomatoes, peppers, onions, partially cooked potatoes and fresh basil. 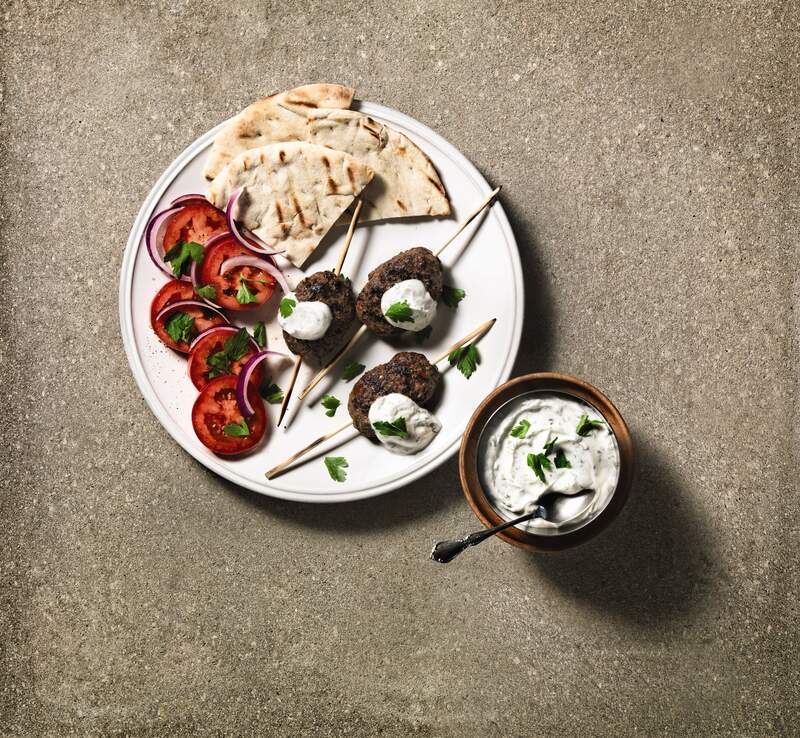 Check out Chef Scott’s Grilled Beef Kofta Skewers Recipe (link to recipe when live 5/19). 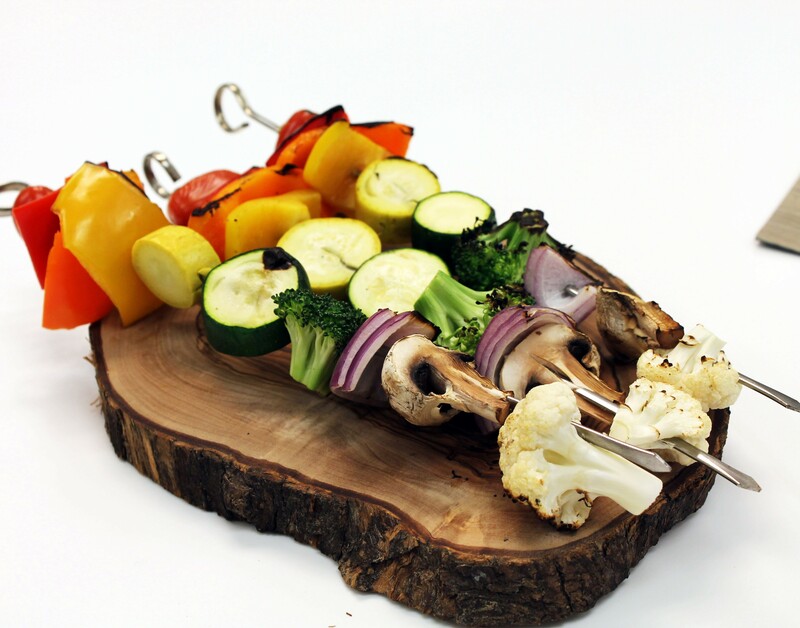 Produce is best in summer, which makes it prime time to be a chef and skewer something or everything! Summer squash, sweet peppers, sweet corn, sun ripened tomatoes, stone fruits and even watermelons are great seasonal produce items to “stick” on the grill. The possibilities are endless! Add your ideas in the comments below. C hef Alyssa has been conducting samplings and creating recipes with the ALDI Test Kitchen for over 4 years. 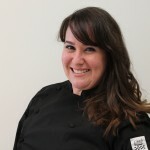 A graduate of Le Cordon Bleu Chicago, she has travelled throughout the United States, cooking on cruise ships, touring with well-known rock bands, as well as working with local minor league baseball teams while honing her craft. She is best known for soups and comfort food, she is also a lean, mean, grilling machine! Mother of two and married to a chef, she enjoys cooking at home with her family, and preparing healthy and playful dishes that are quick and easy. Never Try this; WOULD LIKE TO TRY THEM. Would like to try. Look DELICIOUS. Those Chicken and Pineapple kabobs are SOOOOOO good! I am always talking about the things that I get at Aldis. Ive been told I should get paid for advertising for you! Lol! Love your store! Thanks for coming to Petoskey!